James Whiting has three decades of experience in TESOL (Teaching English to Speakers of Other Languages) as a teacher and teacher-trainer in the United States and overseas. His research interests include advocacy in TESOL, and English language learners in low-incidence settings. He is a past-President of Northern New England TESOL, where he also served as the New Hampshire state representative on the Executive Board. 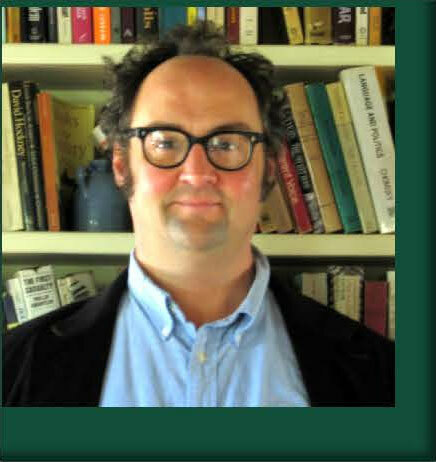 Professor Whiting holds a K-12 ESOL teaching license in Vermont. Advocacy in English Language Teaching and Learning. Linville, H. & Whiting, J. eds. NY, NY: Routledge, 2019. Beyond the Philosophy Statement: Bringing Advocacy Center Stage in TESOL Teacher Education in Advocacy in English Language Teaching and Learning. Linville, H. & Whiting, J. eds. NY, NY: Routledge, 2019. Training ELL Teacher-Advocates, TexTESOL IV Fourth Estate, v. 32 n.2, Summer. 2016. Using Comics in the English Language Classroom, Idiom v.46 n.3 Fall, 2015. Teacher-Leaders in Low-Incidence ELL Settings: Implications for Pre-Service Leadership Training, New Hampshire Journal of Education, v. XV, Spring 2012. Key Behaviors of Successful College ELLs Idiom v.40 n. 3, Fall, 2010. The Effects of Multimedia Input on Comprehension of a Short Story, TESL-EJ. (with S. Granoff), v. 14 n. 2, Fall 2010. Student Podcasts: Oral Assessment and e-Portfolios, AccELLerate v.2 n. 4, Summer 2010. Addressing the Isolation of Low-Incidence ELL Settings Through Professional Learning Communities, New Hampshire Journal of Education, v. XIII, Spring 2010.